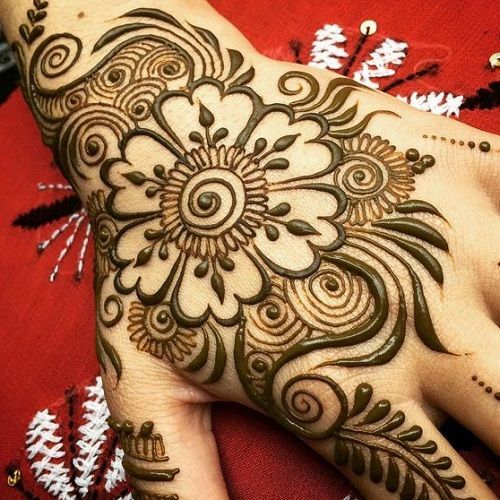 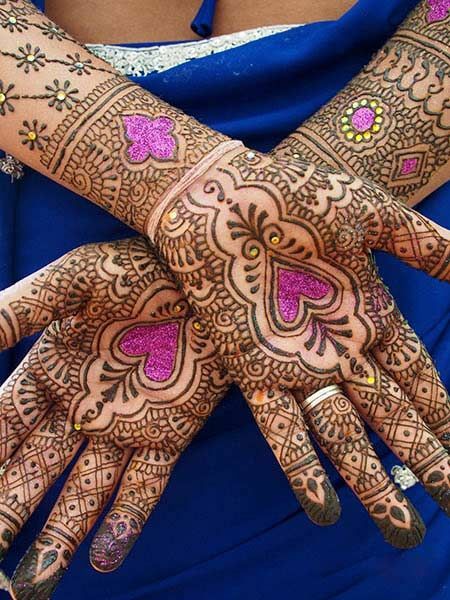 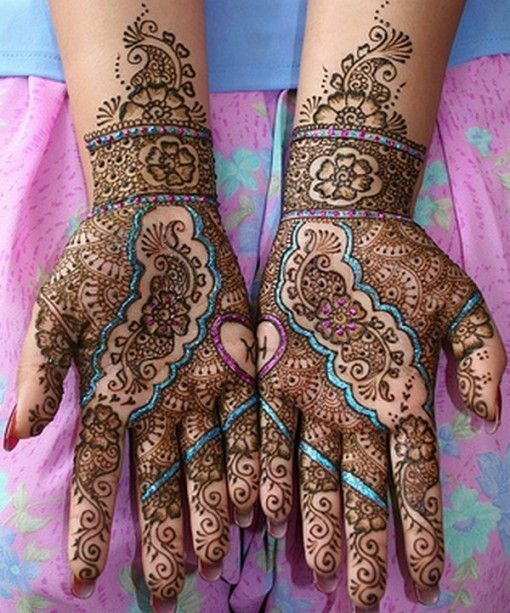 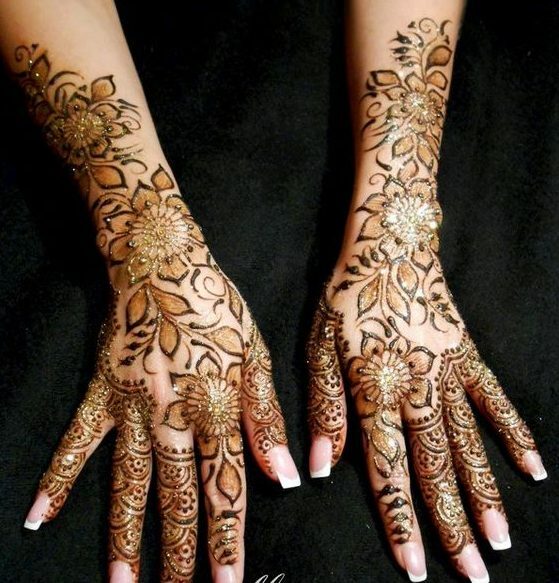 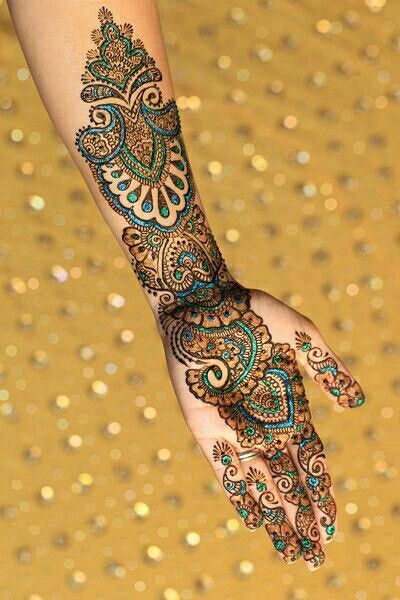 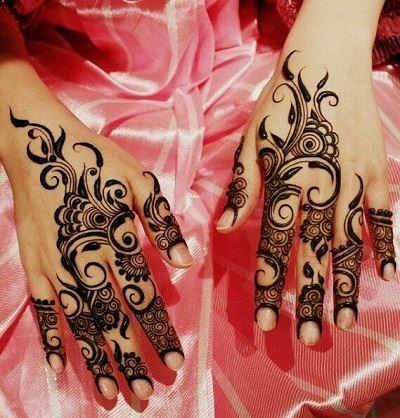 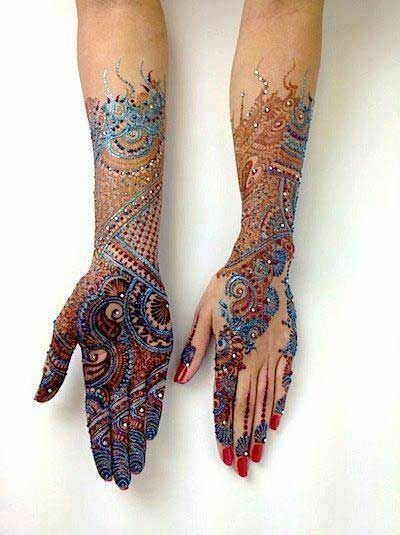 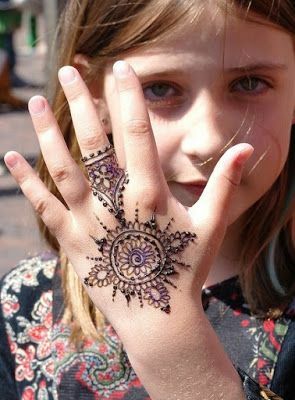 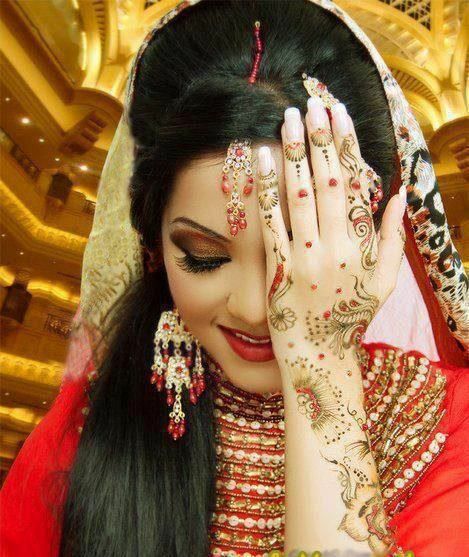 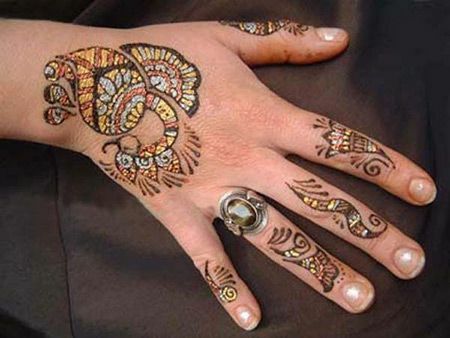 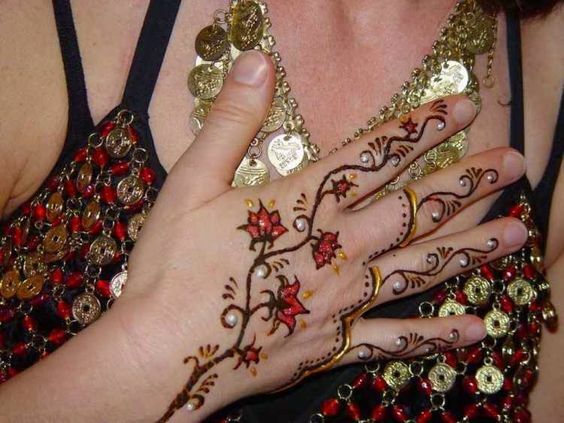 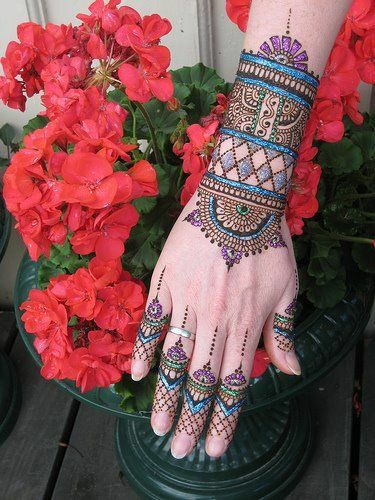 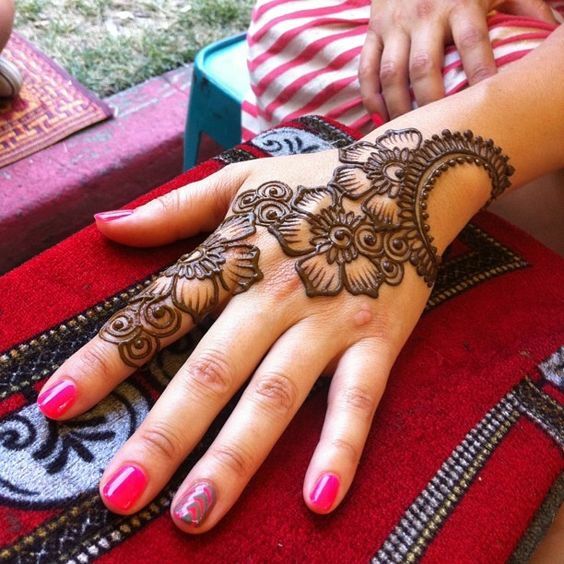 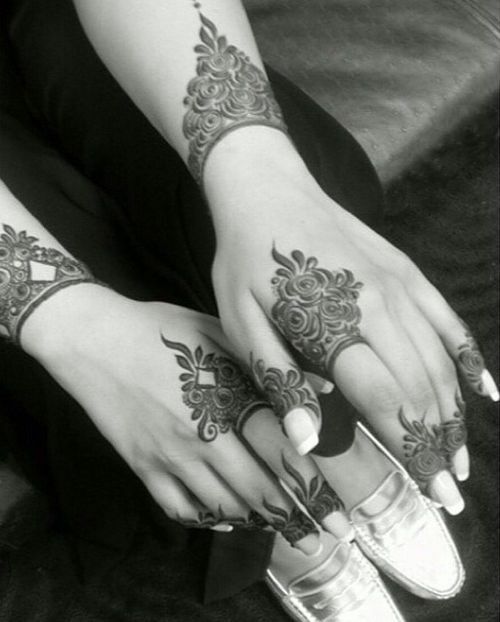 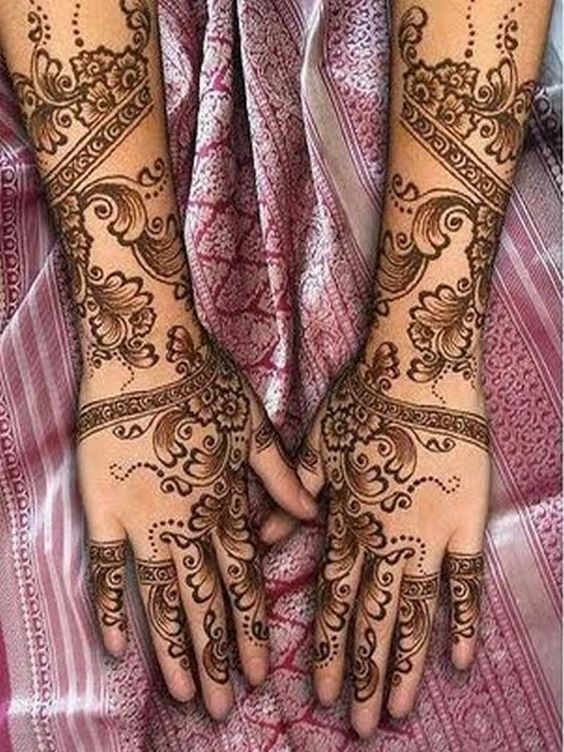 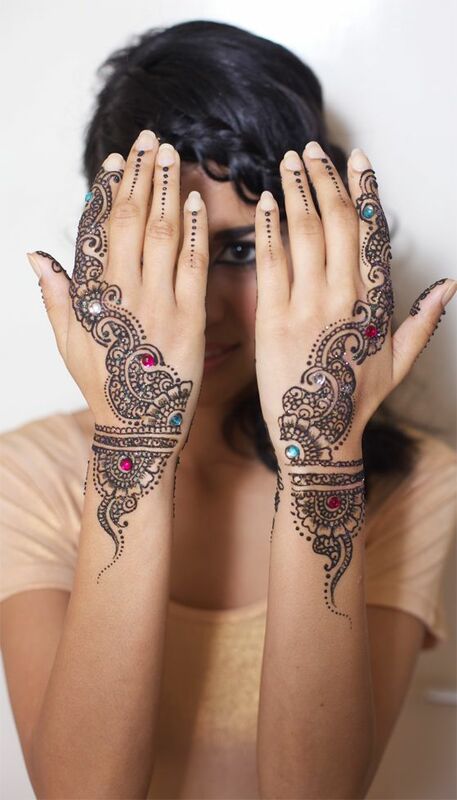 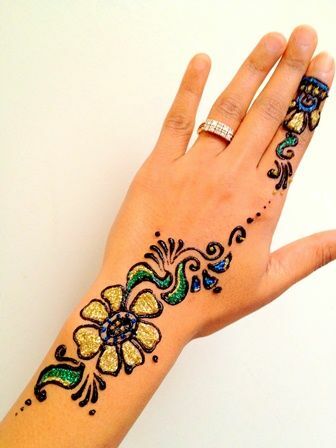 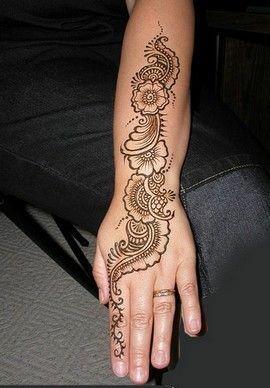 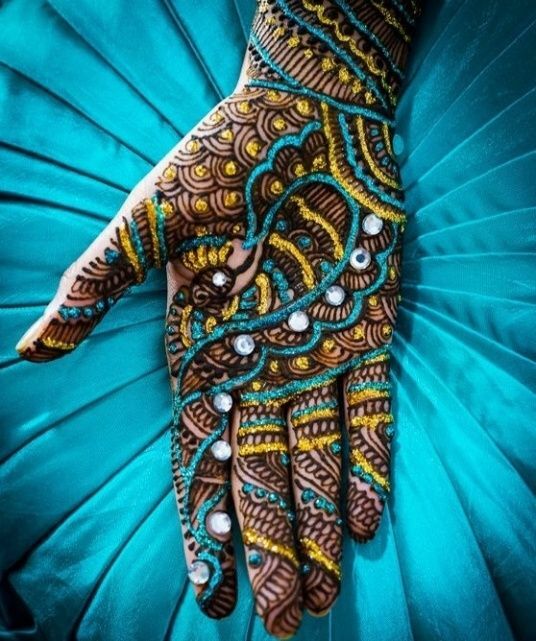 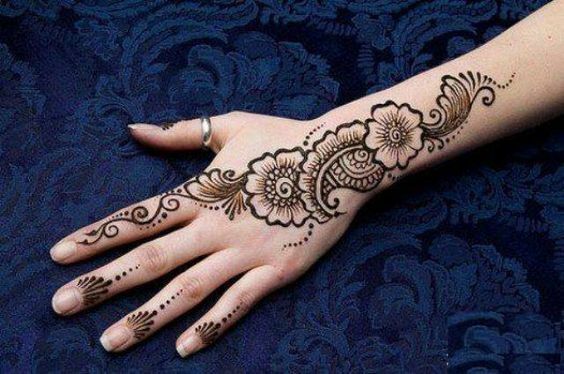 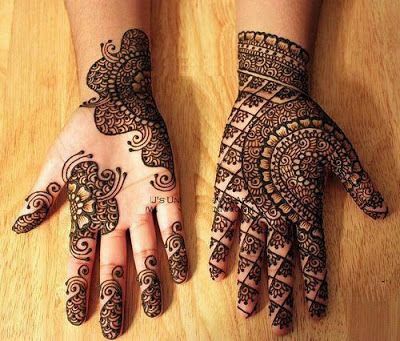 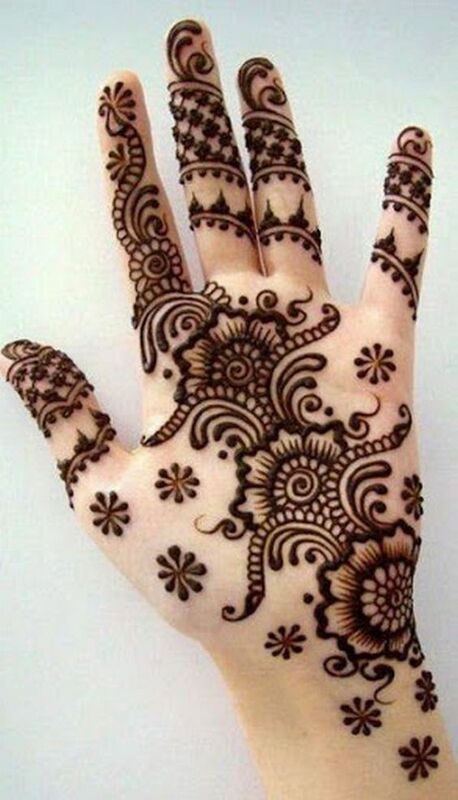 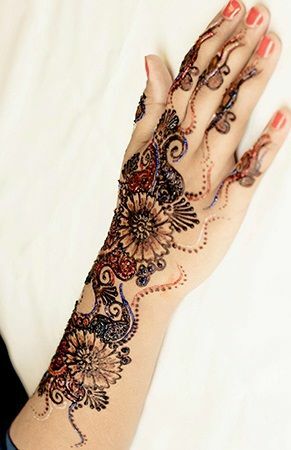 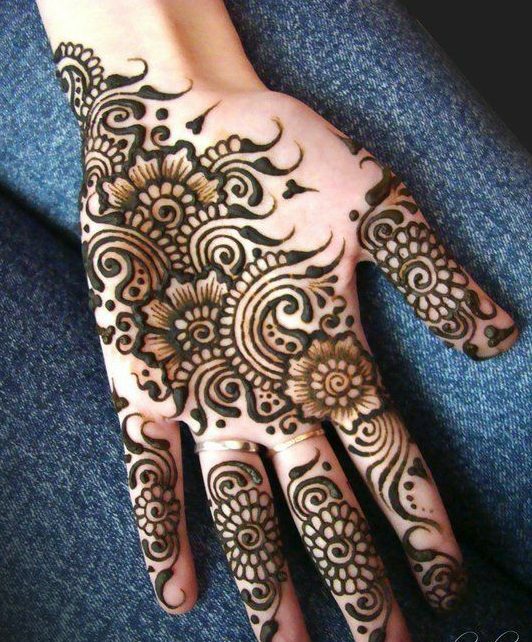 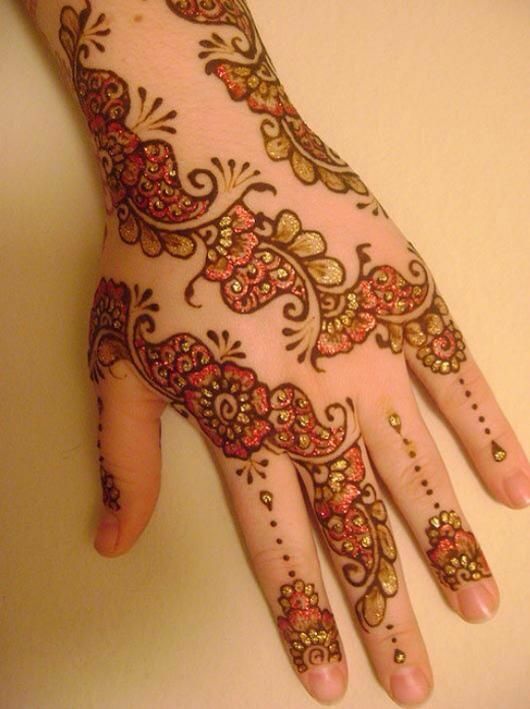 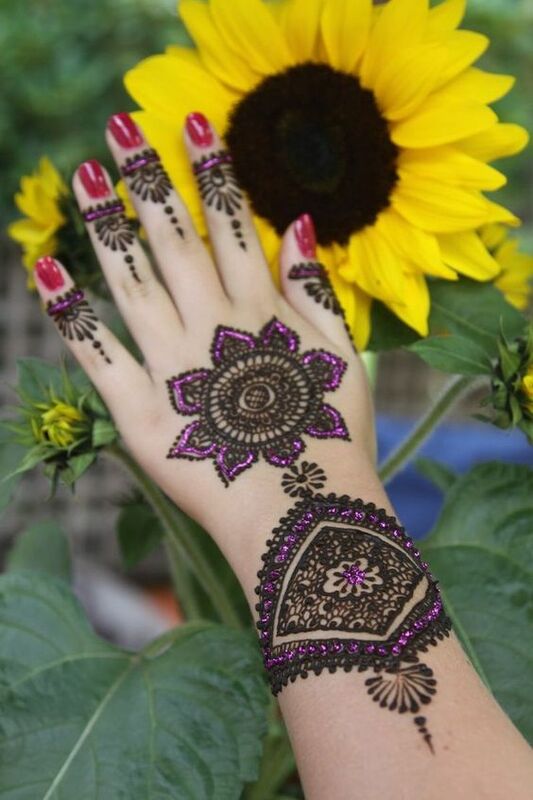 Applying mehndi is a beautiful way to decorate your hands for your big day. 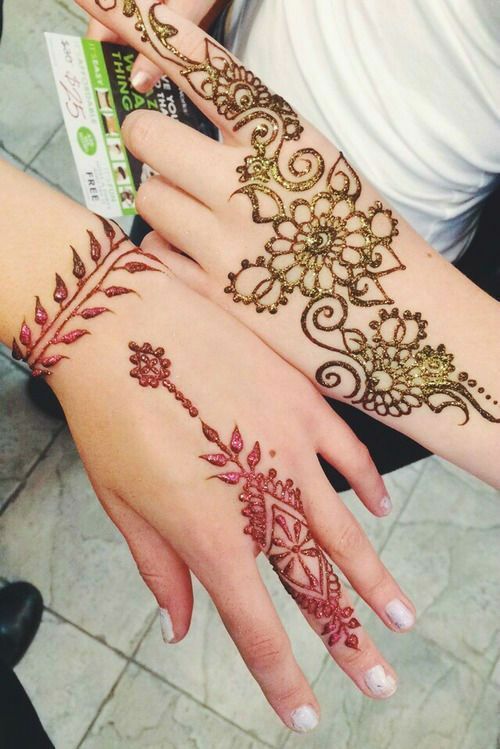 They look even more gorgeous and bring a lot of people’s attention. 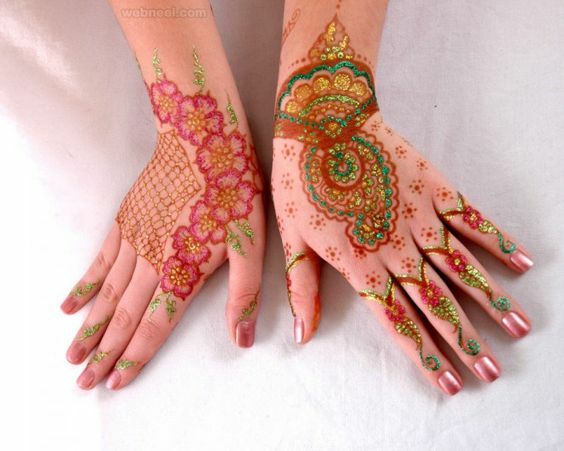 Here are two delicate glittery mehndi designs for brides who want something simple yet classy. 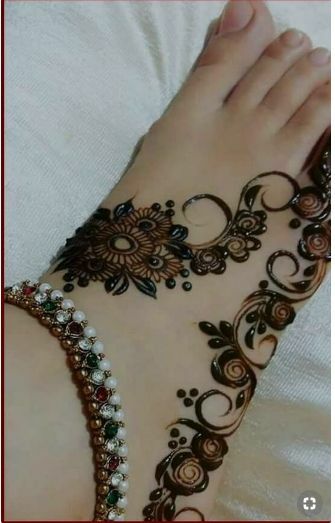 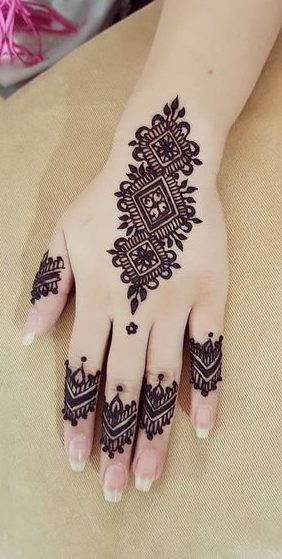 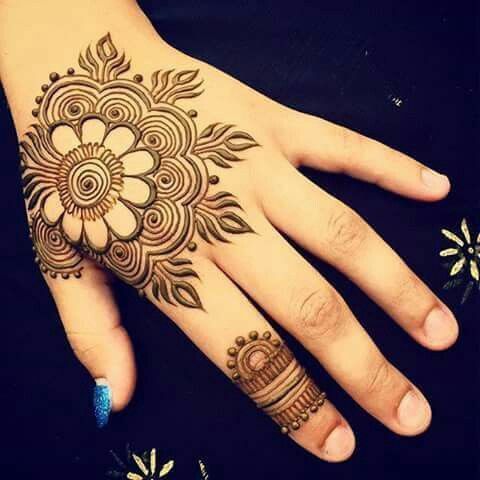 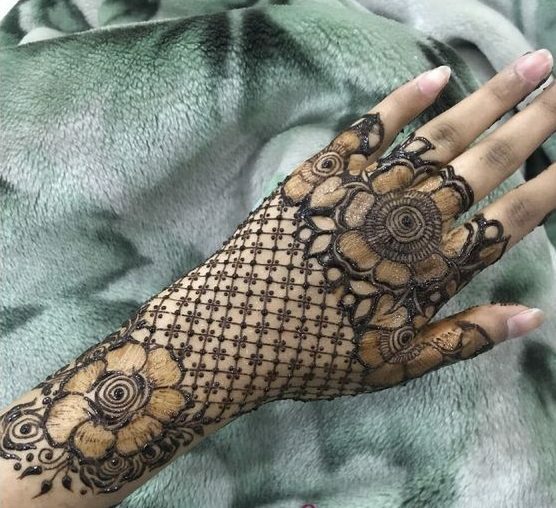 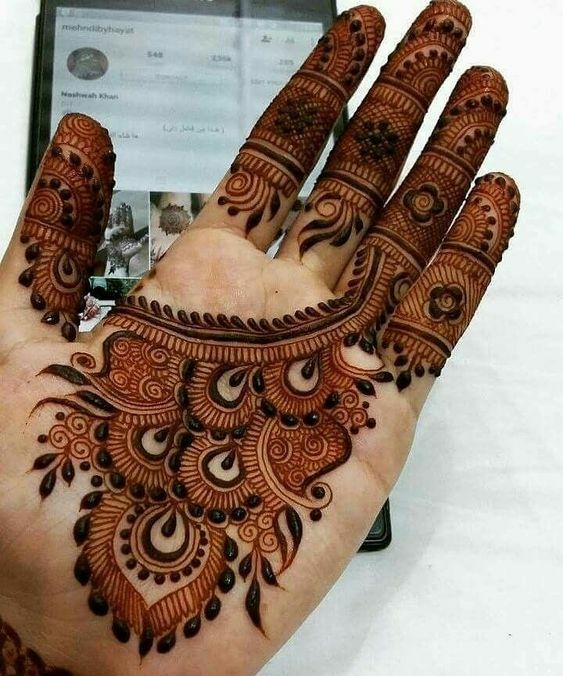 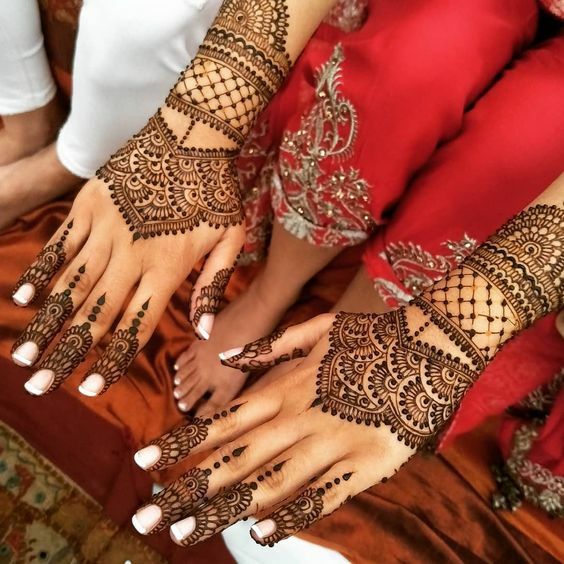 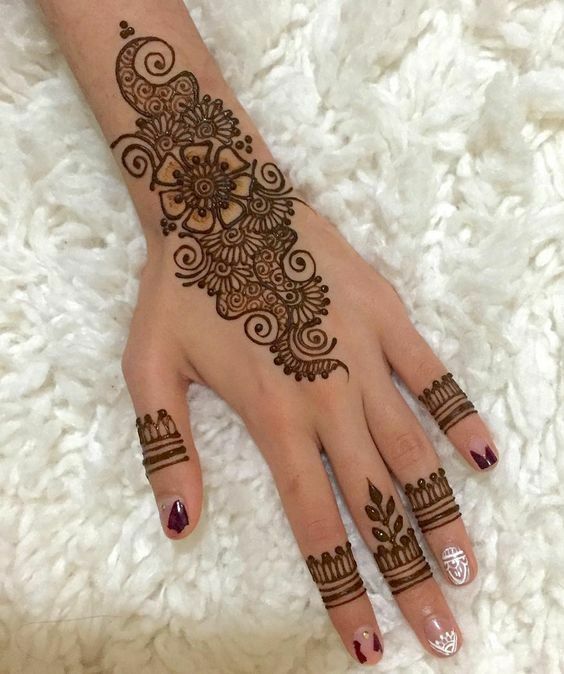 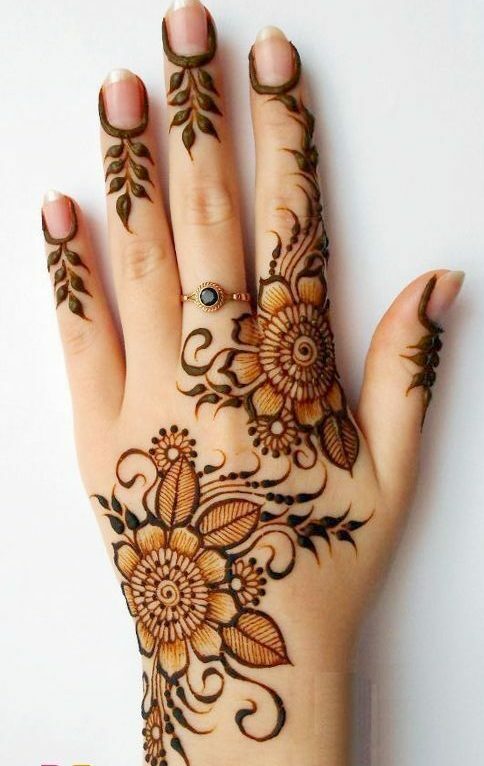 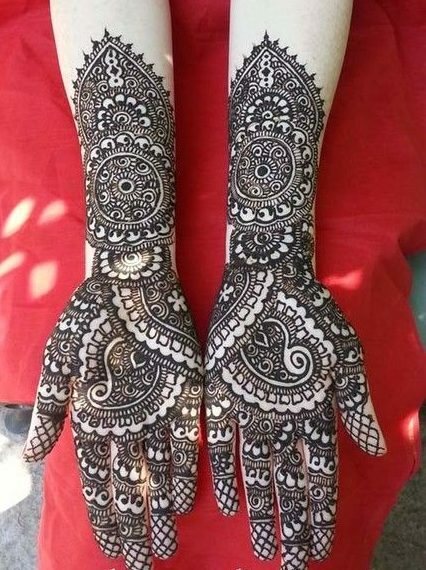 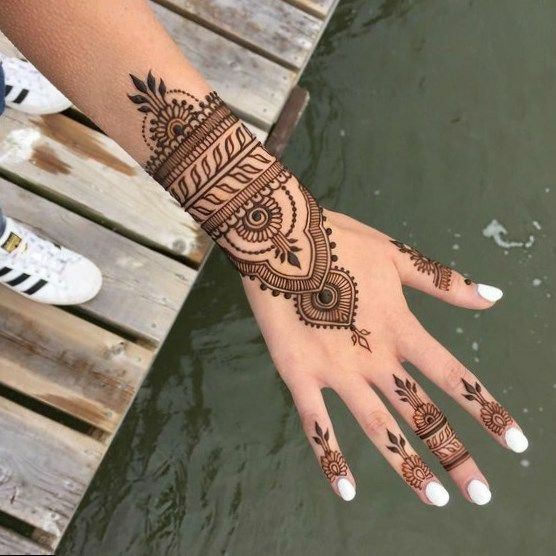 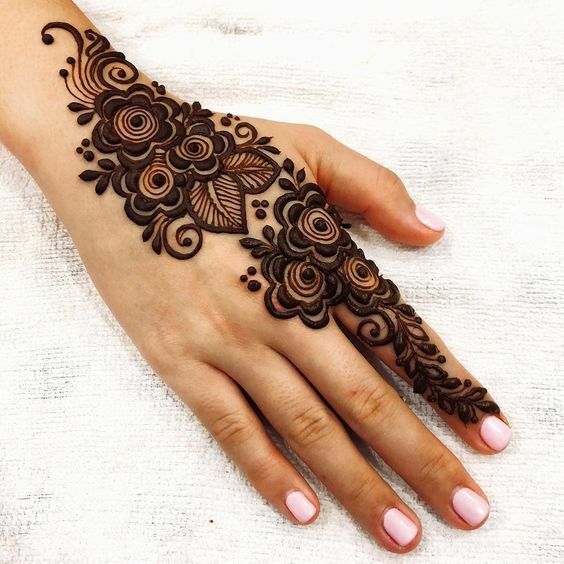 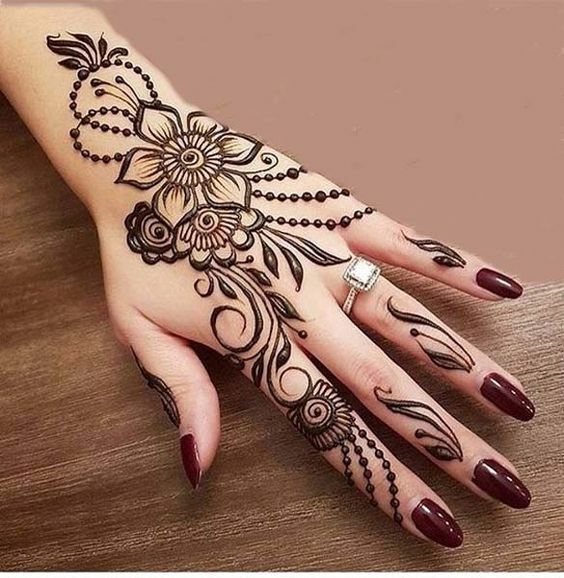 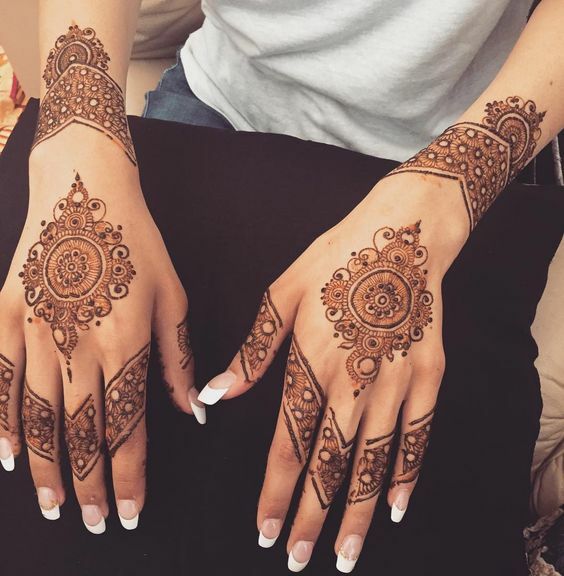 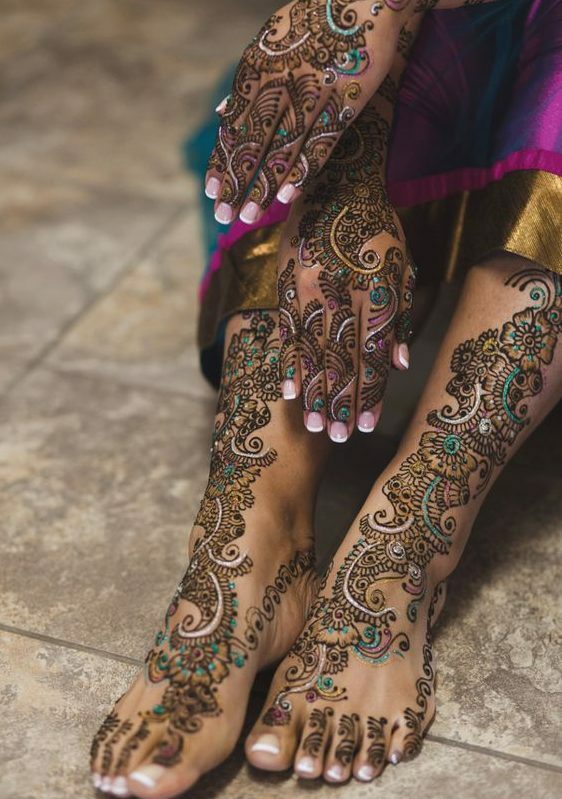 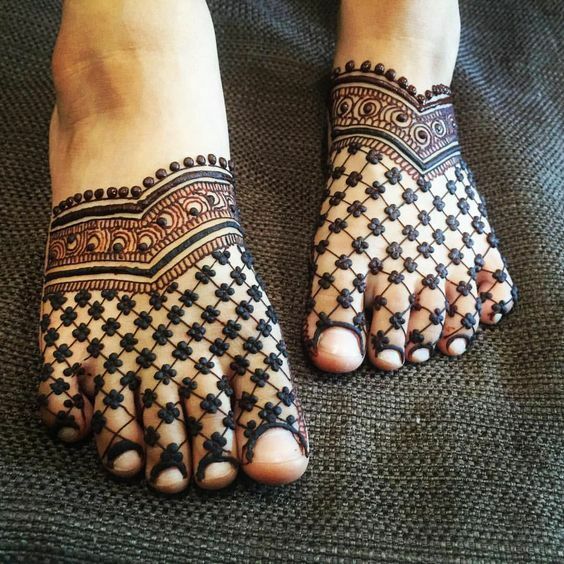 Here come s a yet another stunning bridal mehndi design which is simple but has an alluring design that can make anybody fall in love with itself. 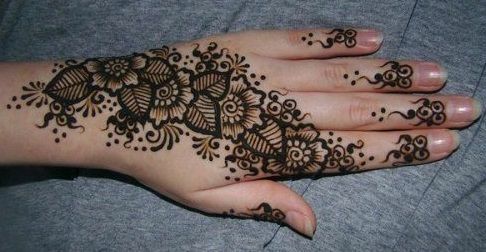 This design has been made at the back of the hands where you can see various work on the middle part and on the finers.